There are so many kids today who want to help others and many find ways to do that. Alex’s Lemonade Stand comes to mind as does Craig Kielburger’s Free the Children and the thousands of children from 40 countries who came together to save the El Bosque Eternode los Ninos Rainforest. Every day I hear about children requesting cans of food for the local food bank instead of a birthday present; collecting bottles and cans to buy food for animal shelters; saving their pennies to buy polio vaccine for children in other countries – the stories are endless and heartwarming. We ARE raising good children; they care about others and aren’t afraid to step forward and help. And now I’d like to tell you about 9 year old Nikolas Toocheck who set his own goal to run a marathon on each of the seven continents taking one million steps to rsaise money for underpriviledged children through one of my favorite organizations, Operation Warm. Nik wants to raise $1 a step to buy new warm winter coats for children at risk to make sure they can go to school in the cold weather. Nik’s been volunteering with Operation Warm since he was five, ran his first marathon in Delaware in 2012 and completed the Antarctic White Continent Marathon in February 2013. Now 10, he’s on his way to Australia for the Brisbane Marathon. Nik gets his love of running from his Dad who runs with him but his passion to help others is found deep in his heart. No doubt it has something to do with the fact that his grandfather founded Operation Warm with his own money. Running the World for Children is Nik’s charitable foundation – so far he’s raised over $16,000. Nik is right on target when he says, “you don’t have to be big to make a difference.” Read his story here. You can check out his Facebook page at Nik Runs the World. I think everyone knows I’m a huge fan of The Dictionary Project and all the organizations that take part in dictionary distributions every year. Back in 1992 when Annie Plummer gave 50 dictionaries to third graders in a local school, who realized that just 20 years later more than 18,000,000 students would benefit from this program? A dictionary isn’t just about looking up a word for its definition or spelling – it’s an inspiration; the vehicle to good communication skills, both written and verbal; the stimulus to creative thinking, a gift beyond compare. Ask any of the children who have received one of these dictionaries and they will tell you that years later they still have and use it. Even with the Internet, even with other electronic versions, a dictionary you can hold and touch brings words to life. About to enter our 9th year distributing dictionaries, my Rotary Club is proud of our partnership with The Dictionary Project. Dictionaries are modestly priced, most at $2.00 and it’s easy to sponsor a project. Inspire a child today and for always with a dictionary. 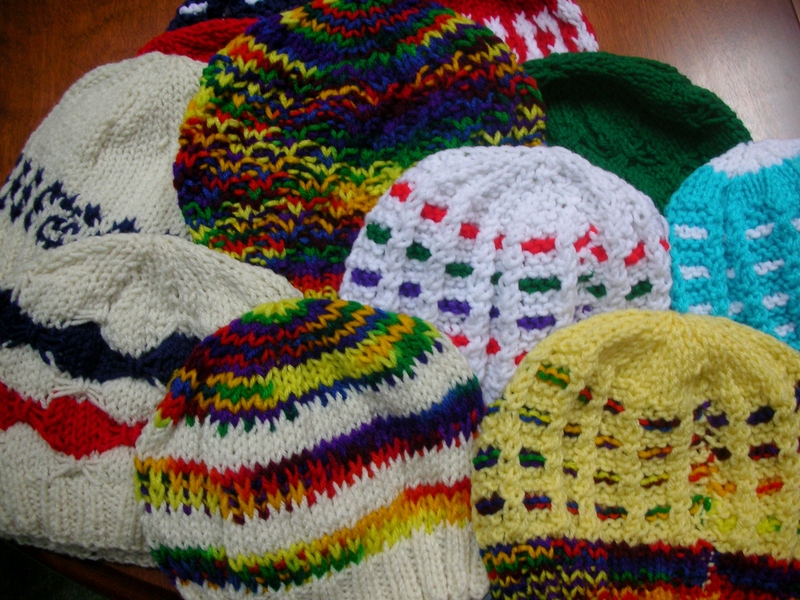 My friend, Cathy, happily called the Glad Hatter by her husband Stan just completed 40 new handmade hats. The colors are incredible and I can’t wait for the children to wear them. These were presented to me by the Northern Lake George Rotary Club at their officer induction a few weeks ago. The club adopted the Hats For A Purpose project three years ago and for that I thank them and thank Cathy for her skill and talent. I know it’s only July but we already have over 150 hats for this fall and winter. A special note: several people donated handmade baby hats that were given to the Neo-natal Center at Albany Medical Center and a few people made hats for cancer patients. The project has grown a bit each year because so many people care.